Steven (Chicagoland, United States) on 16 April 2012 in Landscape & Rural and Portfolio. Crepuscular rays shining through a cloudy sky just before sunset. Photo captured March 15, 2012. Revival ! Good to see you back and clickin' ! I love when sun rays filtered clouds this way. So oniric. Great mono. Gorgeous light and sun rays! I like the lone figure on the beach. 5*'s! I am glad that you are back! Very beautiful sunset at Fort Myers, a very lovely place ~ great capture! This is sublime. Bravo for the beauty of this monochrome. Superb shot! Excellent capture! A very wonderful composition! Good to see you back, Steven! 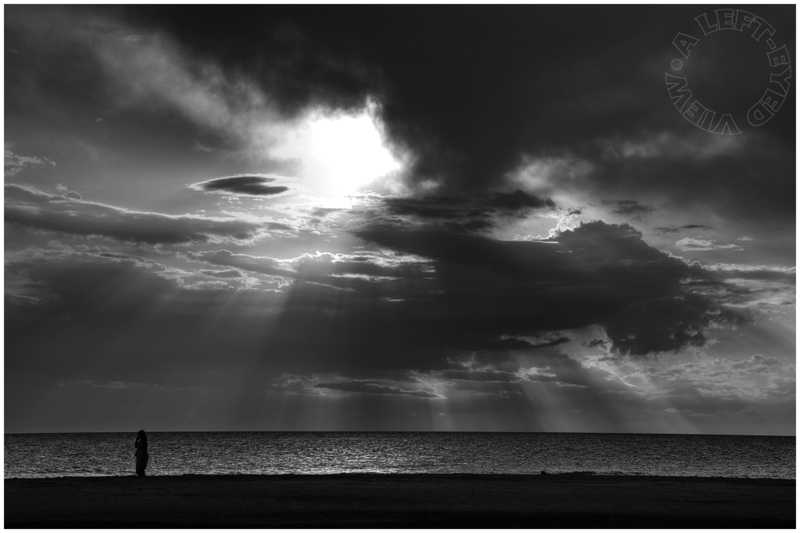 The rays and the lone figure make for a fabulous monochrome. Well done! This is a very dramatic shot in B&W. Well done. I expect to see a UFO drop down from the clouds. Wonderful shot. Excellent BW, very dramatic. I like it a lot. Super great capture, exquisite B&W !